The UCDS College for School Culture is a pioneering graduate program designed to transform education. 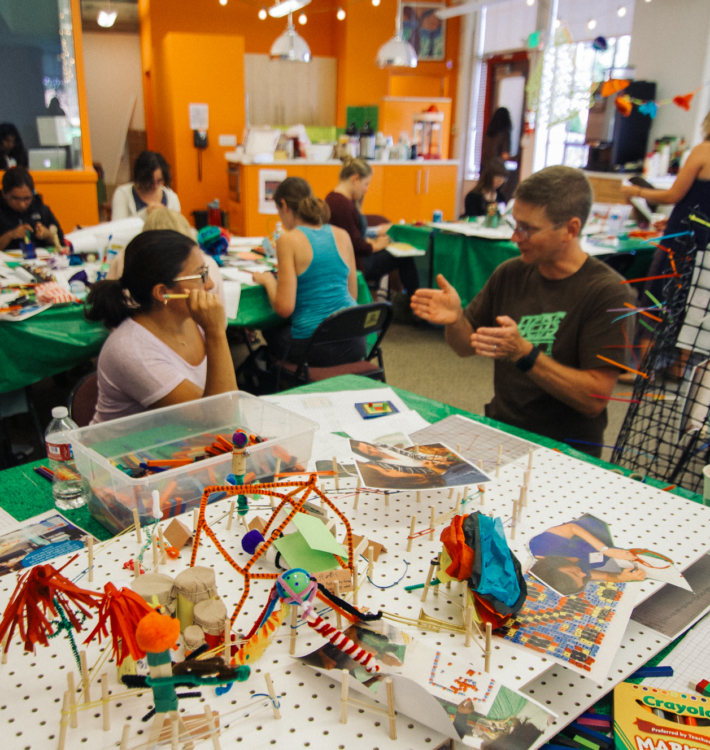 The program flips the model of lab school thinking. Rather than place an elementary program within the walls of an adult-focused university; we’re bringing a graduate program inside our child-centered school. Students enrolled the UCDS College for School Culture, Master of Education program gain the knowledge and strategies essential to becoming leaders in education. As a member of a two-year cohort, graduate students work alongside experienced practitioners who design curricula and experiences that account for the individuality of their students. UCDS College for School Culture students develop the skills that enable them to lead the next generations of students and educators in their communities. Our graduates understand how to build strong school cultures marked by collaboration, inquiry, and innovation. Practicing teachers and leaders instruct many of the College for School Culture courses so that students have access to faculty and administrators who live the skills and approaches they teach. Graduates enter their future school communities with meaningful experiences that prepare them for teaching and leading with purpose. Our culture aligns with our beliefs about how children learn. We share a professional conviction that each of us strives for excellence in all we do. We design a culture of inquiry, for students and teachers. This requires us all to be reflective, collaborative and generative. Faculty and staff members expect that we will continually assess our work, communicate and share our learning, and encourage ideas and creativity in others. The courses develop a feeling of community and involve you in the learning process. There is a balance of listening, speaking, doing, presenting, trying, and learning from mistakes. The facilitators are educators who are passionate about their work. Become a leader in educational culture and design. Earn your Master of Education degree with the UCDS College for School Culture.